Japan and Russia clash in what comes to be known as the Russo-Japanese War. An attempt by the Japanese fleet and army to take Port Arthur fails, and a Russian fleet bears down on the Sea of Japan. 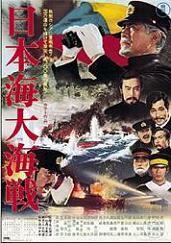 Admiral Heihachiro Togo (Toshir� Mifune) sends his fleet to confront the Russians, with results which stun both nations. Meanwhile, Major Genjiro Akashi (Tatsuya Nakadai) makes secret negotiations with the Bolshevik revolutionaries in Russia, negotiations that have repercussions far beyond the conflict at hand.